A new breed of digital, distributed energy services companies continues to gain confidence in their ability to boost energy efficiency, reduce greenhouse gas emissions and environmental pollution and enhance energy resiliency and security while lowering energy costs at the same time. In turn, a growing diversity of customers are gaining confidence they can deliver these advantages and benefits – whether it’s a grid systems operator making use of utility-scale advanced battery-based storage systems; a municipality, community, university, school district, hospital or commercial or industrial company making use of a solar-storage microgrid; or a high-tech multinational purchasing wind or solar power for data centers directly from an independent power producer or from a utility “green power” program. The same goes for the military, which is set on course for achieving “triple bottom line” economic, environmental and community improvements by investing in digital “green” energy assets and resources established across the federal government appartus during the Obama administration’s tenure. 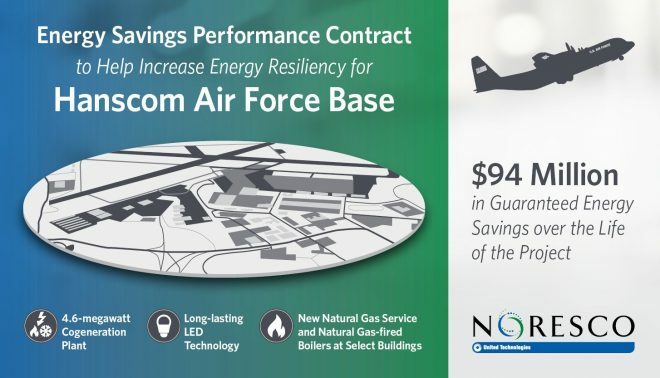 At Hanscom Air Force Base (AFB) in Westborough, Mass, Noresco, part of United Technologies Corp.’s (UTC) Climate, Controls & Security group, is carrying out a $43 million guaranteed energy savings performance contract (ESPC) that is expected to yield more than $94 million in energy savings over the lfie of the project while coincidentally enhancing energy security and resiliency. 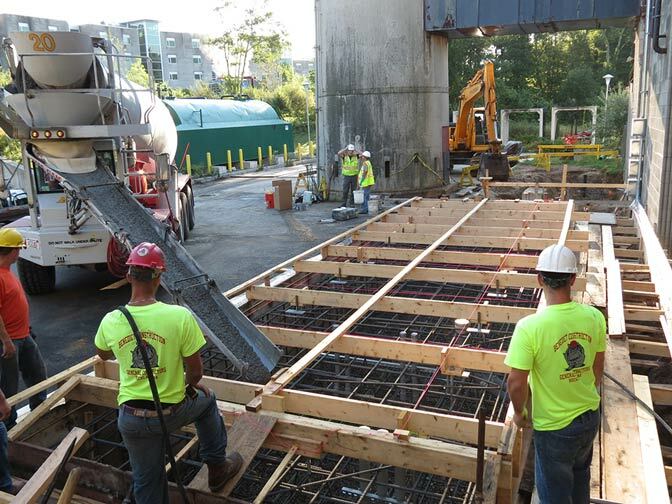 A new 4.6-megawatt (MW) co-generation plant serves as the project’s cornerstone. Integrated in a base-wide microgrid, it will deliver substantial utility cost savings and improve electrical and steam generation reliability, Noresco highlights. In addition to supplying energy to the local utility grid, the co-generation-centered microgrid will also be able to operate autonomously, in “island mode,” supplying electrical power for critical facilities and functions in the event of a power outage. replacing oil-fired boilers and burners with gas-fired alternatives. Commenting on the Hanscom AFB guaranteed ESPC, Noresco SVP Michael Beccaria said: “NORESCO is honored to continue our long-standing support of the U.S. Air Force through this exciting ESPC project for Hanscom AFB.